We strive to provide an environment that supports and practices positive coaching philosophies so that all players and families have a rewarding experience. All BAYLO coaches are volunteers, focusing on player skills and game fundamentals. They work diligently during the season, and the off-season, to develop each athlete to the best of their potential. They are all encouraged to gain certification through the Mass Bay Youth Lacrosse coaching certification program. 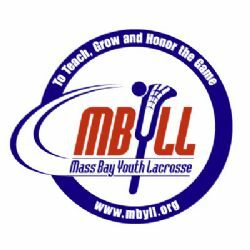 MBYLL is a non-competitive League, with no standings and no playoffs. We strive to ensure that ALL players get the guidance necessary to play the sport at a high level while maintaining the integrity of MBYLL and its guidelines. Why should your child play lacrosse? When analyzing the cool factor of lacrosse across the county it is impossible to ignore the fact lacrosse isn’t quite as popular as football, baseball and basketball yet – but in many areas it is getting close. Many athletes who play those sports also add end up playing lacrosse as a means to compete, stay in shape and develpe important motor skills such as hand eye coordination. Lacrosse has also become a MAJOR recruiting and college acceptance consideration at all levels of the game. One of the great things about the sport is, with the sport growing in popularity, there are more opportunities than ever to join a team so kids can start at any time that makes sense for them. While it can take some time to learn the fundamentals and begin to become adept with handling the tools of the sport, the game offers a chance for even the entry level player to compete and enjoy themselves. Lacrosse is not an individual sport. It will quickly teach kids to share, pass, and back up their fellow players. Game times can vary from week to week, however, games are played on Sundays. Unless we are playing a make-up game. How long is the lacrosse season? Practices start in March (dependant on weather) and the games run through May. Jamboree's are normally in June if we sign up for any. And they are optional. How long are lacrosse games? Lacrosse games run for 1 hour. When / how long are practices? Practices are normally 2 times per week for 1 1/2 hours each. Some Saturday practices may be scheduled.